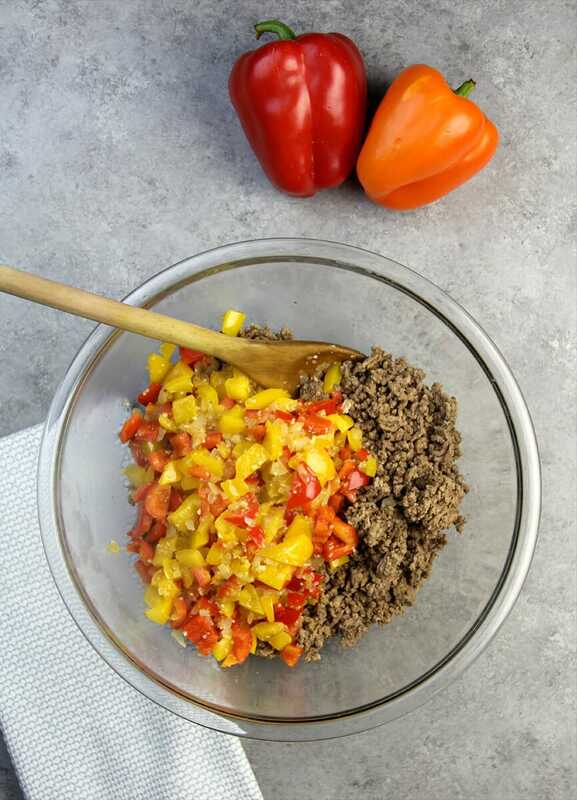 Unstuffed Pepper Casserole with lean ground beef, bell peppers, farro, and cheese—easy enough for a weeknight dinner and delicious enough for the whole family to enjoy! What is Unstuffed Pepper Casserole? 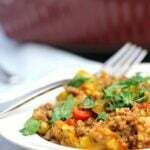 We first had this Unstuffed Pepper Casserole at my daughter’s house and fell in love with it. This is a simple dish, with just meet, cheese, peppers, and rice. And it lends itself to all sorts of mix-ins as well: onions, tomatoes, different cheeses—anything goes! 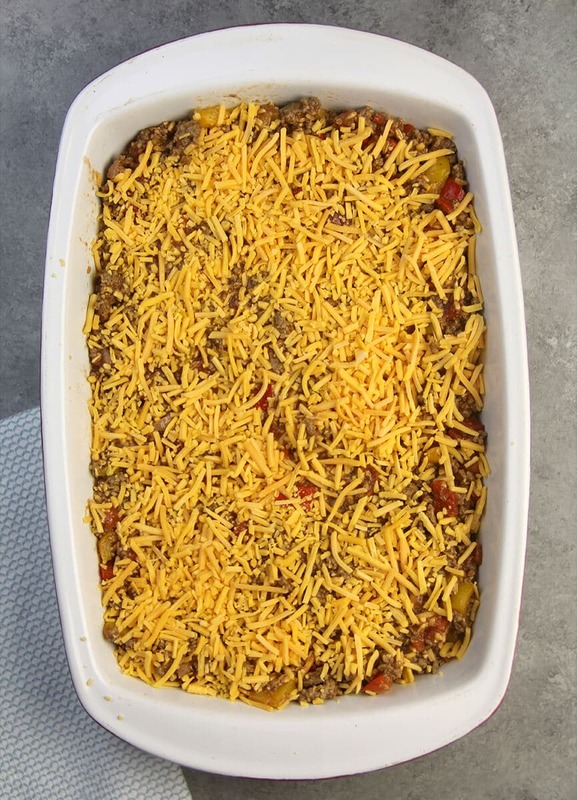 The casserole is called Unstuffed Pepper Casserole because the peppers are chopped and everything is mixed together, rather than stuffing the meat mixture down into whole peppers. 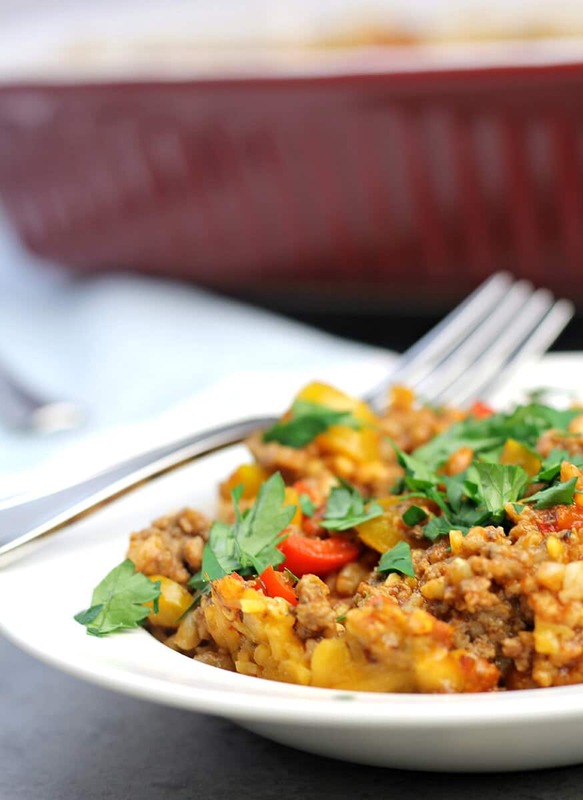 I do love my Stuffed Peppers, but this Unstuffed Pepper Casserole is even easier to make! I wanted to make the casserole a little healthier so I subbed farro for the white rice. You could use brown rice or another grain in place of the white rice. I like farro because of the nutty taste and the rice-like texture. To make things even easier, on Sunday you can cook a big pot of rice or farro or whatever grain your family likes and then you’re ready to go for multiple recipes throughout the week. To the farro, I added some beef broth, tomato sauce, and diced tomatoes, all of which was still super easy with no extra chopping. Ain’t nobody got time for chopping! Everything goes right into the baking dish and bakes for about half an hour, plenty of time to throw together a simple green salad with my Lemon Vinaigrette Dressing and dinner is done! What are some of your favorite weeknight dinners? 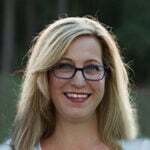 Head over to the Southern Food and Fun Facebook page and let me know or leave a comment below—you might see your favorite dinner featured here on Southern Food and Fun! Unstuffed Pepper Casserole with lean ground beef, bell peppers, farro, and cheese--easy enough for a weeknight family dinner! Preheat oven to 350. Spray 9x13-inch baking dish with cooking spray. Brown meat with peppers and garlic in a large skillet, then drain off excess grease. 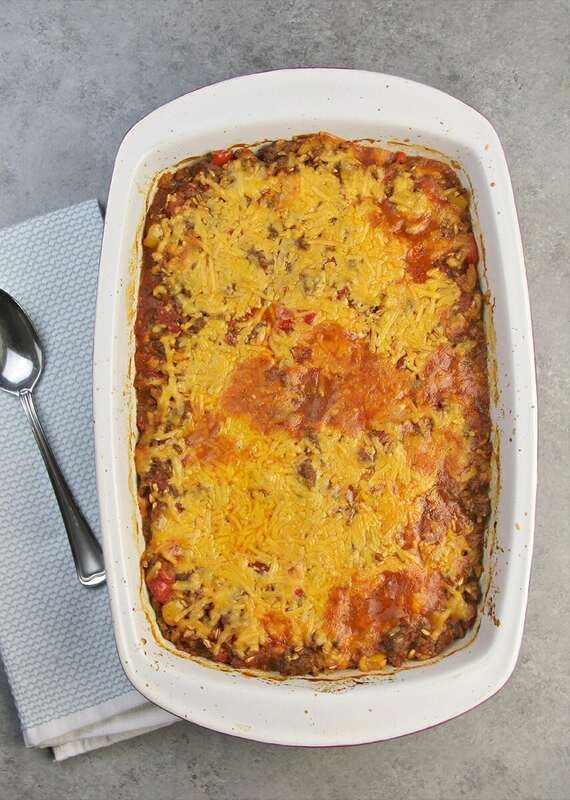 Return meat mixture to skillet and stir in tomato sauce, tomatoes, beef broth, seasoning, farro, and ½ cup of shredded ¾ cup shredded cheese. Spoon mixture into prepared dish and top with remaining cheese. Bake about 30 minutes. Recipe adapted from Kraft Undone Stuffed Pepper Casserole.